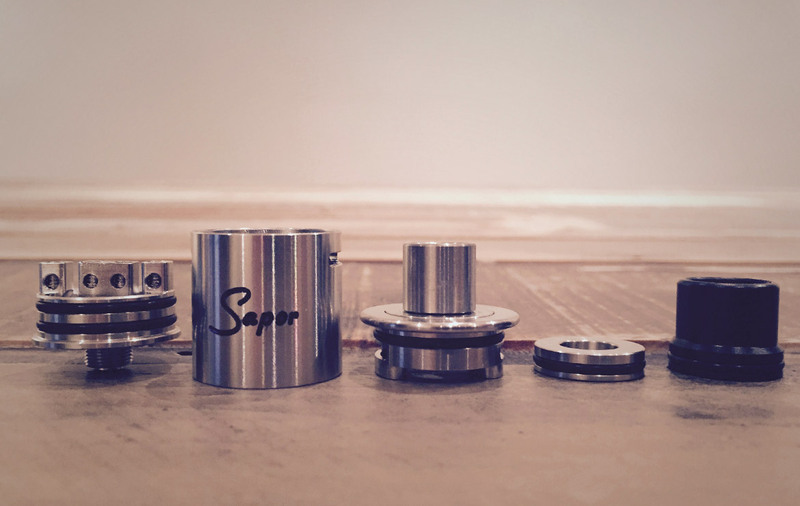 Wotofo makes great authentic gear at fair prices and their latest atty the Sapor rda is a great addition to their family of products. It is most likely more of a Cloudchaser but it does give some pretty decent flavour. Think of it as a more affordable Aeolus (somewhere between a v1 and v2). You will either love our hate the look on this one. For us it’s a little plain, there are a whole bunch of colour ways that may sway you to it though. 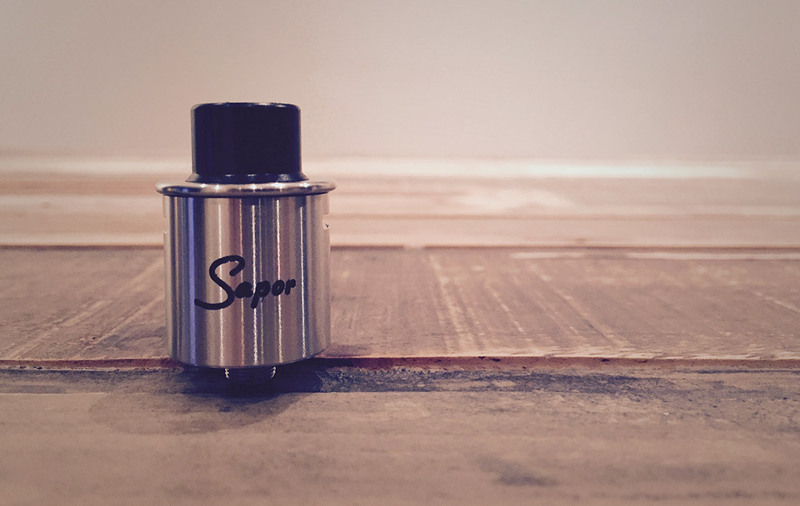 It’s a well built affordable top airflow style RDA and the flavour is pretty good. 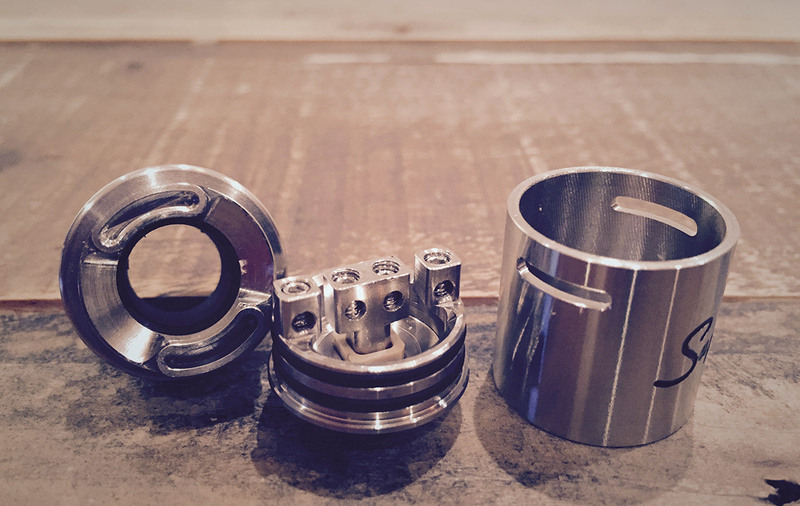 It’s easy to build, just make sure you get those coils as far out and up towards the airflow as you can to get the best flavour out of it. We put in a 24ga, 2.5mm, 0.25-0.3 Ohm dual build and run it at 60W and get a nice flavourful and slightly warm vape. It’s not the best flavour but it’s decent. Is it better than the Aeolus, ah.., not quite. It could be the airflow, it’s really wide fully open. We run it about a third of the way open and it still doesn’t have a lot of fine tuning to it. The airflow is smooth and not overly loud but it somehow feels a little sloppy. It’s most likely just the way it’s designed. There is nothing really wrong with it other than if you want to run a single coil. It does everything right, maybe it’s just a little late to the party. There is a lot of exciting new innovations (RDTAs!) lately in all atty types and this just seems plain. 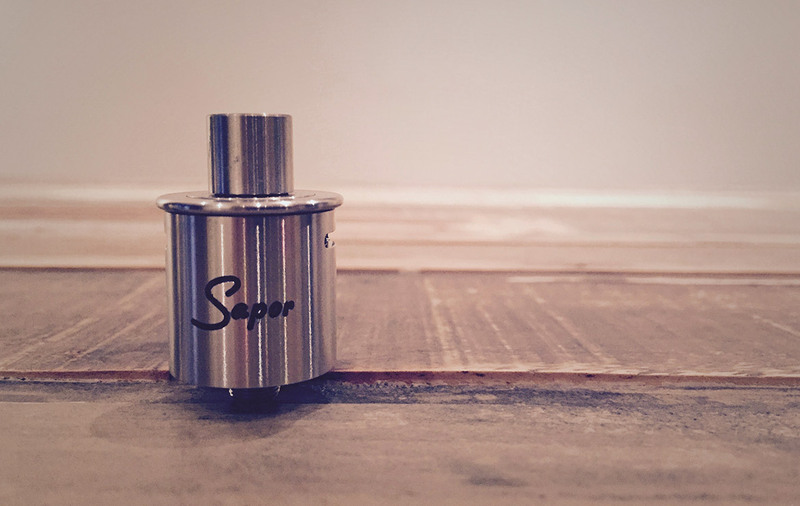 If you haven’t tried a top airflow RDA before or you love the aesthetic you will be pretty happy with this one.